Engineering works on the Brighton Mainline mean it will take twice as long to travel to and from the capital on Sunday (July 8). 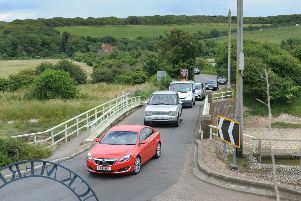 Network Rail said no trains will run between Three Bridges and Brighton and Three Bridges and Lewes, as a result of the works. ​​Trains will still run between London Victoria and Brighton, but will be diverted via Littlehampton, taking over two hours – twice the normal journey time. A limited supply of buses will operate along the closed section of Brighton Main Line railway but a queuing system and longer journey times are expected, so passengers are advised to consider alternative means of travel. Network Rail said the work taking place on Sunday is an essential part of the £300m Government-funded programme to tackle delay hotspots and boost the reliability of the railway in the south east. It will also ‘lay the groundwork’ for a major programme of improvement work planned for the Brighton Main Line in autumn 2018 and early 2019. John Halsall, Network Rail route managing director, said: “The Brighton Main Line is one of the busiest and most congested routes in the country, but the simple truth is it’s nowhere near as reliable as passengers need and expect it to be. Nick Brown, chief operating officer for Govia Thameslink Railway, which runs Thameslink, Southern and Gatwick Express, said: “With fine weather forecast, we expect a lot of passengers will want to travel this Sunday but our message is seek alternative ways to get there if you can.